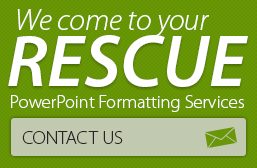 Let’s begin with the simplest tools available in PowerPoint. Text effects, picture effects, highlighting and shading tricks, let’s read more about how these can add to audience recall. 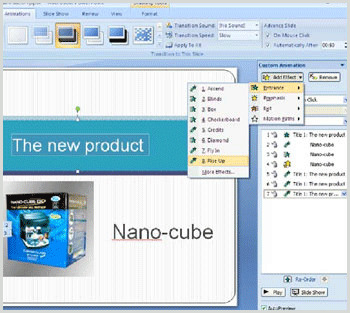 PowerPoint lets you add scrolling text: Just highlight the text, then click on the Animations tab (in PowerPoint 2007) and click on Custom Animations. You will see a bar on the right side of the screen. Select the text you want to scroll and then click on Add effect>Entrance>More Effects. You will see a box like the one below. Select the Credits or Ascend or Rise up option. Adjust the speed on the Custom Animation box on the right and you are set to make your text scroll! Similarly, PowerPoint lets you fade in a title to highlight it or let you morph something to show change. 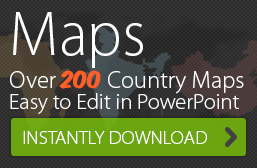 Use these PowerPoint special effects to your advantage. It all boils down to the idea that if you have some movement on your screen, it makes the content more memorable than a static screen with bullet points. However, take care to avoid flashy effects that are so fast or loud that they put the audience off, or give them a headache.